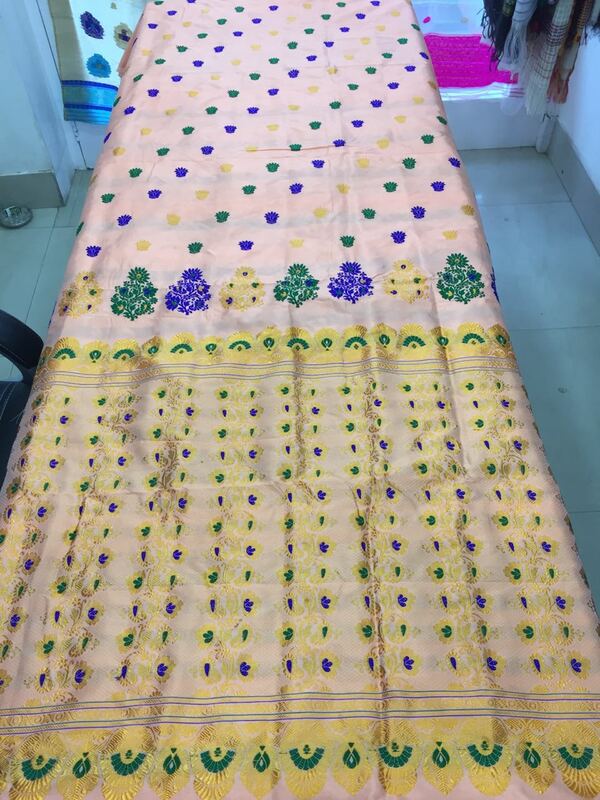 Pure Paat material in Peach Colour with Multiple buta having Green, Blue and Guna small Buta work and Guna base Asol. 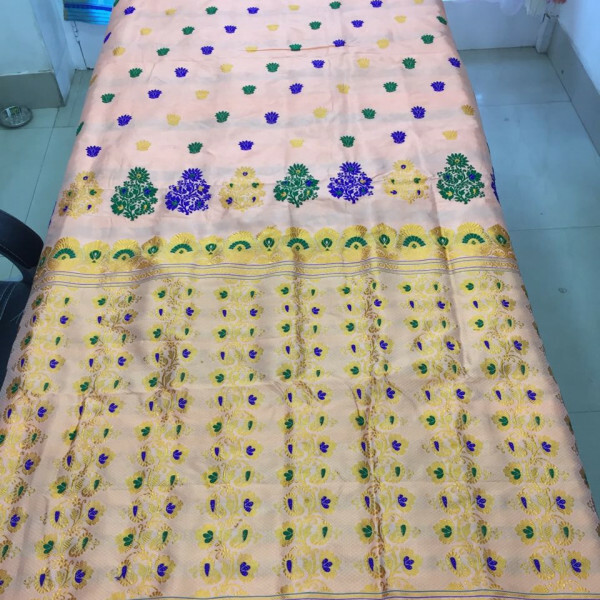 It’s a fine quality Saree in Pure Paat material in Peach Colour with Multiple buta having Green,Blue and Guna small Buta work and Guna base Asol. 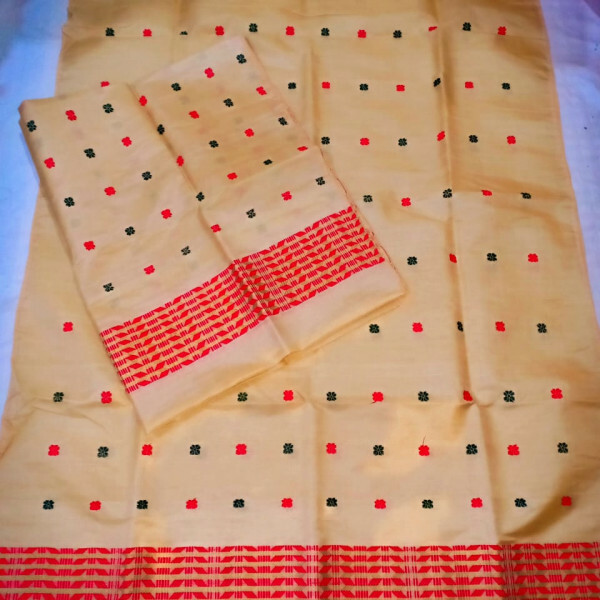 Gives an elegant looks who wear this Saree. Peach colour always gives a humble look to the attire. Suitable to wear for all ages girls or women. 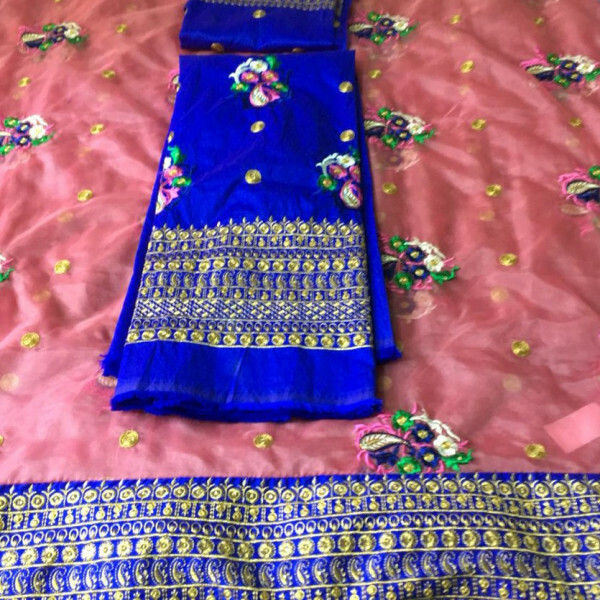 Fully Party wear Saree. Matching ornaments will give a unique look.